Brandon Takahashi defends both private and public sector clients in employment related-litigation and counsels them on how to avoid potential litigation. As an experienced litigator, he skillfully advises clients on all manners of employment-related issues including: employee management, discipline and termination, internal investigations, leave management, proper employee classification and sexual harassment training. Takahashi's clients fall into a number of industries including: hospitality, retail, restaurant, banking and commerce, medical and medical device manufacturing, sports and software programming. Prior to joining Hinshaw & Culbertson LLP in July 2017, Mr. Takahashi served as head of the labor and employment group at another law firm. For three years prior, he practiced with a national employment law firm. In that capacity, his practice focused on defense-oriented employment litigation and advice and counseling for corporate clients on the best employment practices across the U.S. Mr. Takahashi was also key counsel in two cases of first impression regarding California employment law under the Fair Employment and Housing Act. 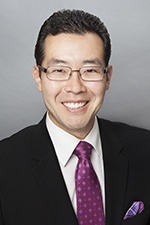 In 2013, Mr. Takahashi was selected to the Lawyers of Color inaugural "Hot List," which consists of the top 100 minority attorneys under age 40 in the Western Region of the U.S. Additionally, he has been named a "Rising Star" by Southern California Super Lawyers for the past five years. While in law school, Mr. Takahashi was named Student Trial Lawyer of the Year by the American Board of Trial Advocates. Mr. Takahashi speaks basic Japanese and conversational Spanish. Since college, Mr. Takahashi has participated in ocean and river kayaking, competitive archery, and has recently taken up shark diving when time and conditions permit. He also enjoys working the land on his family’s grape vineyard in Central California.